Part of Jackson Memorial Hospital was placed on lockdown for 2 1/2 hours Monday as Miami-Dade police investigated the second shooting threat at the hospital in a week. As was the case Friday, the threat proved empty. Police continue to investigate who's making the threats. Brad Clorie drove three hours from Kissimmee, Florida to attend the 100th birthday celebration of Jackson Health System on Monday—and for good reason. At an event in Jackson's Alamo Park, the community honored how much the hospital has grown since its inception in 1918. Back then, Jackson was called Miami City Hospital. It only had 13 beds and a handful of employees. Now, the hospital system employs 12,000 health-care professionals full-time. One of the joys of living in South Florida around this otherwise horrid time of year is mango season. It's the juicy, refreshing antidote to looming clouds and the perennial beads of sweat that appear on your forehead everytime you walk out the front door. Two state lawmakers visited the Jackson Plaza Rehabilitation and Nursing Center in Miami Monday to lead a roundtable discussion about nursing homes needs in times of crisis. University of Miami doctors have published a case study about the first locally transmitted case of Zika in the United States. The patient was a 23-year-old pregnant women whose symptoms included a fever, joint pain and a rash. Her baby tested negative for the virus. Right now, almost a million people in Florida don’t qualify for Medicaid because they make too much money or don’t have any dependents. But they also make too little money to get help buying health insurance through the Affordable Care Act. The resulting space between the two programs is often called the Medicaid coverage gap. The University of Miami inaugurated Dr. Julio Frenk as its new president on Friday, positioning the internationally known public health expert to begin implementing his plans for the university's future. After Sunday’s false Ebola alarm that disrupted life and traffic in Jackson Health System's Miami neighborhood, hospital officials used Monday for an Ebola-related media event that was oddly reassuring. 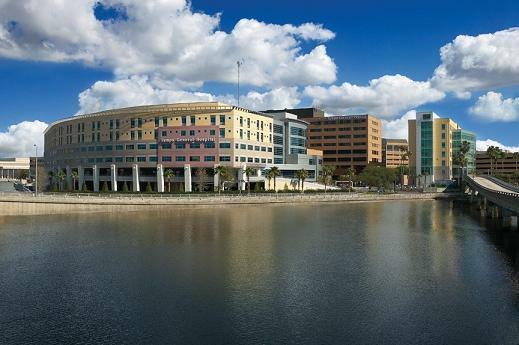 TALLAHASSEE -- A high-profile healthcare bill moving through the Florida House could strip the Miami-Dade County Commission of its authority to make the final decision on labor union contracts at the county’s public hospital system. The bill originally sought to create new rules for trauma centers, allow skilled nurses to practice independent of physicians, and pave the way for hospitals to use virtual healthcare services. Though voter turnout in this off-year election was low in Miami-Dade county, some changes will be tangible and immediate: like the property tax hike to pay for renovations of the Jackson hospital system. We review other local election results from this week. While it’s not yet 2014, elections for next year are already gearing up. Charlie Crist declared his candidacy for a return to the governor’s seat. He’ll face off first against former state Senator Nan Rich. We speak to both Democratic candidates. Jackson Health System wants to go after formerly uninsured individuals now receiving coverage under the Affordable Care Act. Because insured customers have increasingly been choosing hospitals with snazzier facilities, Jackson is asking Miami-Dade County voters to raise their own property taxes to cover a top-to-bottom remake of the hospital system. If the referendum passes on Tuesday, JHS will issue bonds to raise $830 million for the renovations. The bond debt would add about $50 to the average county taxpayer's yearly tax bill.